Celtic Skull Cane | BUDK.com - Knives & Swords At The Lowest Prices! Classic sword cane design with an eerie twist. Measures 36 3/4" overall, and offers 16 3/8" blade constructed from 420 stainless steel. 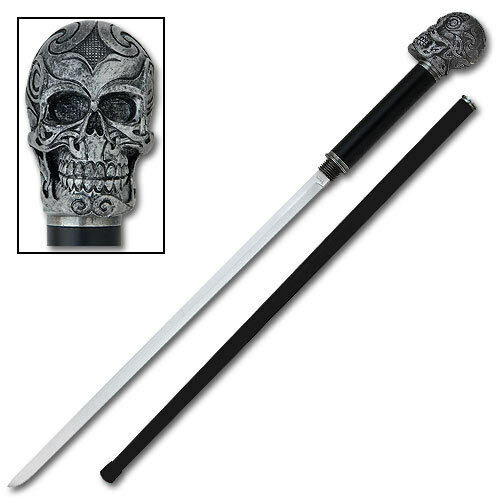 Offers aluminum scabbard and handle that is capped with a resin grinning Celtic skull to hint at the danger inside. United Cutlery, XL1079.